When I was in grad school I thought UI is about tuning widgets and doing user studies (a lot of research did exactly that). I preferred working on algorithms because they seem more interesting and more fundamental. Later on, I realized how wrong I was. User interface is crucial as long as humans remain biological and machines remain mechanical. A good UI can save a not so good algorithm, but not vice versa. And UI research can also be fun and fundamental. Some people told me that they prefer Word over Latex for paper writing due to a more direct WYSIWYG interface. It is true that using Latex is more like coding than writing. But is Word really more WYSIWYG? One of my PhD students, J, is interning with a top HCI lab that prefers Word. J already has first-authored multiple SIGGRAPH papers via Latex, but had difficulty figuring out how to use Word, such as citations and cross references, even after the internship mentor provided a previous paper Word file for example. The main problem of a binary file like Word is that it shows what is there but not how it got there. Take citations as an example. Even starting with a complete paper, there is no way to tell how to add a new citation just by looking at the file alone. One has to search online or via the in app help. In contrast, a source file like Latex shows how everything is done, even though we have to take an extra compilation step to see what it looks like. But that can be a single command with a makefile, which also clearly shows how to build everything. The ideal tool should allow authoring in both directions: on the source (like Latex) with outcome immediately visible (like Word), or on the outcome (like Word) with the source automatically modified. But for now, Latex is more WYSIWYG than Word for me. I am picking up HCI as it is becoming more relevant to my teaching and research. Here is a log of what I have found useful. As work in progress things are going to be in a flux. If you have suggestions I would love to hear. 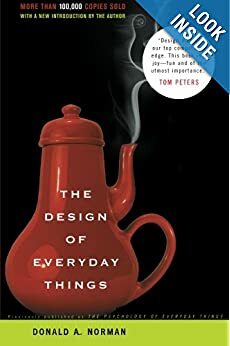 The design of everyday things by Donald Norman is an old text but has aged quite well. The thing I like most about the book is that it provides many highly intuitive examples and counter examples to illustrate many of the practical design issues. 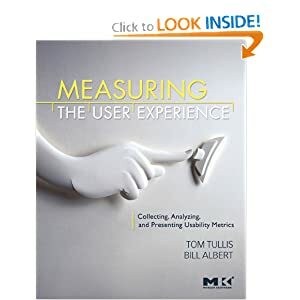 I learned about user studies from measuring the user experience by Tullis and Albert. It is pretty comprehensive, but for detailed math/theory you will need to look up elsewhere. The coursera course by Scott Klemmer covers several main aspects of HCI and is fun to participate. I quickly went through it off season within a few days so I just watched the videos and did the quizzes. I plan to join the next offering and do the homework assignments (for real). In a nutshell, a demo should properly demonstrate technical aspects with sufficient artistic appeals. The technical part is usually more important, and can suffice alone for many science and engineering disciplines. However, the artistic part is also very important for graphics and HCI, or any fields which involve direct human perception and consumption. Demos usually take a lot of time and efforts, on top of the usual workload in ideation, writing, algorithm, implementation, and experimentation. And whether you like it or not, a solid and novel algorithm cannot be adequately assessed or appreciated by the readers if it is not demonstrated through proper demos. Thus, designing demos is kind of an art. Below are recent suggestions from Sylvain Lefebvre which I have found to be excellent. A guideline that worked fine for me is to consider whether 1) the result demonstrates the technique properly and 2) the result looks just good enough that it appears useful; in particular we want to avoid people think that the example is contrived to only show the advantage of our approach. The problem is that 1) and 2) sometimes compete with each other (e.g. a fantastic rendering possibly making it hard to properly see the motion, etc.). Also we do not want to spend too much time on 2), only enough that people will think that it is convincing. I have a primary bank in Asia and a primary bank in the US. The online banking of that US bank is very easy to use; the UI design is likely good enough for a textbook example. In contrast, online banking for that Asia bank is extremely difficult to use (even for a computer scientist); the UI design is so bad that it can also serve as a textbook example. I have been wondering how that Asia bank could have survived its customer complains about UI. Today, I found out the answer. I needed to conduct a transaction that (to the extent I can figure out through that UI jungle) cannot be done online. So I went to a local branch. The (human) bank clerks were so efficient that the entire process probably took less time than doing it online by myself. So I guess most people in Asia simply do banking with real humans. It is not only because human labors are more abundant in Asia, but also that Asians have more inherent distrusts for online banking. Lesson learned: a bad UI needs fix only if used.